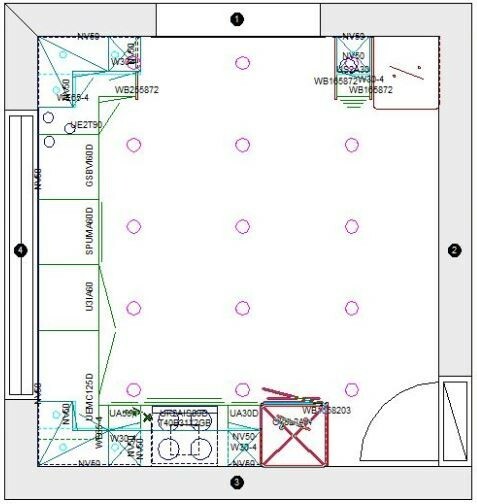 Designing kitchens, heck choosing the layout for anything at home can be a difficult task to undertake, this is why people like myself (I’m Craig, the designer at Fit Kitchens) have a job in the first place. 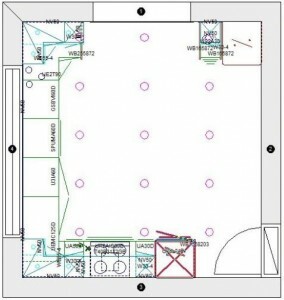 Luckily there are a few principles, in practicality and safety that help dictate the best way to layout your kitchen. 1. 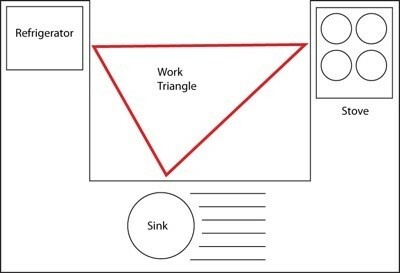 Designing Kitchens with The Working Triangle. The first we’ll go through dates all the way back to the 1940’s when interior design really became a talking point for the culture. 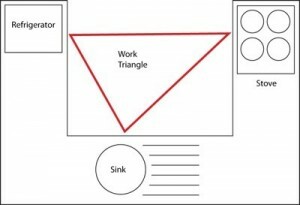 The working triangle (Also called the Golden Triangle) is the principle of workflow throughout a kitchen. The main 3 point of the kitchen tend to be Fridge —> Cooking —> Sink and with more convention being challenged can now be Oven —> Hob —> Sink with the refrigerator in another room, but anyway you slice it, this workflow becomes essential. As things go you never want to be more than a few feet from each point of your triangle so each should be placed within 1-3m of another point, shorter distances tend to be set anywhere where hot items might need to reach the sink. 2.Health and Safety Restrictions and Basic Ergonomics. Secondly, the kitchens own practicality must be taken into account. 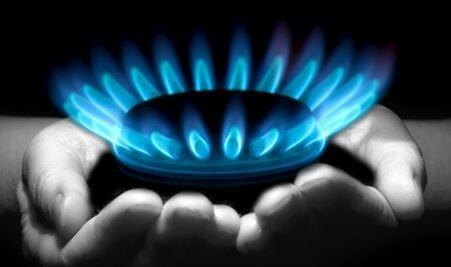 There are your fire safety regulations for example the minimum distance between a Hob and a Sink. Basic standard dictate a 2 foot gap or around 600mm, personally when dealing with gas hobs I like to leave a little more. Hob should also have a minimum of approximately 200mm of clear worktop space on either side, this lets you know minimum distance from adjacent walls, this is as much to do with allowing ease of movement when cooking as the possibility of any flammable material being present on the wall. Lastly the dictation of space above the hob – This is surprisingly only around 350mm, which personally I like to leave a little more here too. A 300mm distance is recommended for any sink and electrical point. Ventilation should be considered if building in certain free standing fridges, especially older ones. Ergonomics play a huge roll in a kitchens design, if you, a client happens to be 7ft tall then a 600 worktop height (not that that’s typical) might prove painful in the long run. The height of special breakfast bars and seating areas should be designed with both the customers proportions in mind as well as any children that may need to use the space and all of this should be discussed between designers and customers. Simple things such as the depth of seating and space allotted should be taken into account. For example the average length of an adult male from back to knee while seating is approximated at 21 inches or a little over 500mm this means that seating should be at least 350mm deep but no more than 550-600mm. 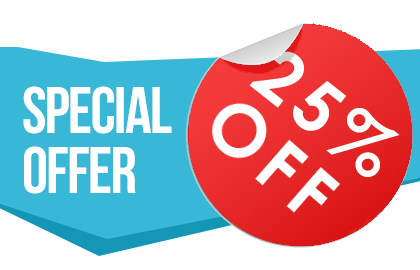 The Average height of floor to knee of an adult male is approximated at 25 Inches or a little under 650mm minus the average thickness of a thigh (the uppermost height of the leg while seated) and a chair should measure approximately 17 inches or around 400-450mm high. Its a lot of jargon but these things can be the difference between it just looking good and it looking good as well as being comfortable and safe. These dictations are from wide averages and guide in proportion of that average only. Special changes obviously can be made but using these guides it becomes easier to work out appropriate space under a table (450mm+) or breakfast bar (250mm+). Don’t be afraid to compromise but be aware of what space you leave yourself. Also, be aware of any space where you may be restricted, in particular around internal solutions such as carousels and large drawers and pullouts. The last item is a little mix of the previous two, when I say a kitchens thoroughfare I mean the space to allow free movement from one side of the room to another with little to no obstacle. With so many open plan rooms and the heavy use of islands and peninsulars in design this can be an easy one to forget. If your kitchen is centrally located within the house you want to be able to enter from one room and leave to another without dodging kitchen furniture, the same applies if the kitchen leads to an exiting door. As for islands I recommend a minimum surrounding buffer of at least 800mm, this should allow a single person to walk to any part of the kitchen without impediment and also allow two people to pass each other without too tight a squeeze. These are things that you take for granted everyday without a second thought. If you think about how much trouble something as simple as a low door or an unusual step height can give you, you can see why these little considerations become so important. I hope these points can help you feel more secure in whatever design process you are taking part in. Have any thoughts or questions? Please let me know. Designer at Fit Kitchens and More. ‹ Gloss or Matt Kitchen Doors? Choosing your door style.